Training the mind to see one’s own inherent worth can go a long way in recovery. So often, I see that people, who have done their best in a failed relationship, fall in self-esteem. The person might have tried hard, wanted to maintain the connection, and yet it did not work out. Despite the best of intentions, the one left behind ends up not liking……..oneself. You would think it would be the other way around. The one who walked away or behaved badly should be on the receiving end of the dislike. Yet, it is so often toward the self that the negativism is most deeply directed. First, take the courageous inventory of your part in the breakup. If you were behaving in destructive ways, admit this, know what is destructive about your behavior and take steps to change. You even can begin to forgive yourself for your own part in the break-up. Second, if you did not contribute to the relationship’s demise, own that thought. We are used to hearing that it takes two to ruin a relationship, but that just is not the case. Sometimes one person can independently destroy what the other has tried to build. If you did not contribute to the destruction of the relationship, start to admit this to yourself. You were not perfect in the relationship because no one is. Yet, imperfection itself is not necessarily a cause for the actual destruction of a partnership. Third, if you tried your best, then realize that you are not to blame for another’s difficulties or weaknesses. The other is free to make misfortunate decisions, even if these decisions hurt both of you. Fourth, try to practice toward yourself the idea of inherent worth. You have value, inestimable value, as a person because you are special, unique, and irreplaceable in this world. This worth is unconditional, not earned as some kind of reward for good behavior. A strictly biological perspective can show you this. For example, you have unique DNA so that when your time in this world is through, there never will be another person exactly like you on this earth……ever. You are…..special…..unique…..and irreplaceable. People with certain religious viewpoints can go beyond the biological to the transcendent and say, “God loves me” or “I am made in the image and likeness of God.” In other words, you are…..special……unique……and irreplaceable. Sixth and finally, once you have strengthened the idea that you are a person of inherent worth, then apply that knowledge to yourself in the context of the past relationship(s): Despite the fact that this failed, I have worth. I am not defined by the success or failure of a relationship. I am more than that relationship. I will continue to be special, unique, and irreplaceable regardless of that outcome. Be aware that you want to keep such thoughts in balance so that you do not degenerate into narcissism. The point of growing in the knowledge of inherent worth is not to puff yourself up relative to others. In fact, a clear understanding of inherent worth should be a guard against narcissism. Why? It is because the idea of inherent worth levels the playing field of life. If we all have inherent worth, then all of us have value, even if some make more money or have more talent or whatever separates us. We are united in this: We all are special, unique, and irreplaceable. As one more caution, avoid using the thought of inherent worth to perpetuate nonsense. For example, suppose you have a gambling habit that seriously depletes the family’s funds. You do not then want to proclaim your inherent worth to yourself so that you can continue the nonsense. Yes, we all may have inherent worth, but we all are imperfect and need to work on our character flaws as we retain that sense of worth. We are more than our actions. We are more than others’ rejection of us. We possess a worth that is unconditional. No one can take that away from us, even those who walk away from a relationship that could have been great for both of you. Hold out the hope that the next person also sees inherent worth in those with whom there is a committed relationship. One of the best ways to have a stable ongoing relationship, it seems to me, is to find a like-minded person who understands the importance of inherent worth and sees this very clearly in the self and in you. This blog was originally posted on the Psychology Today website on Nov. 8, 2018. Let us imagine a scenario that is not as uncommon as some might think. Let us suppose that you have cultivated in your mind that all people have inherent (built-in) worth. You see all people as special, unique, and irreplaceable. For some of you, your view is that all are made in the image and likeness of God. Now let us further suppose that a person, let us say your boss, sees none of this. He sees you as inferior to him and lets you know that. You want to leave the job, but do not have the opportunity to do so yet. A common error these days is to think that your thoughts carry a lot power in that, if you keep thinking that all have inherent worth and if you keep treating the boss with respect, then he eventually will come around to your way of thinking. He, too, will say and believe that all people have inherent worth, including you. Yes, this could happen. Your patient forgiving might—might—turn the boss around so that he finally sees his errors of thought and behavior. Yet, this may not happen. He may stay entrenched in his thoughts and behaviors toward you so that, no matter what you do, he sees you and treats you as his inferior. Do you then abandon your own view of inherent worth of all? Is it a dangerous thought (that all have inherent worth, including the boss) that keeps you oppressed by that boss? Absolutely not. It is not your thoughts that keep you oppressed. It is his thoughts, his actions that are the problem. So, then, even if you cling to the notion that all have inherent worth, is not this thought itself worthless because, well, it is getting you nowhere? The boss is not changing. Within you, it is not your continued thoughts of inherent worth that need changing, but instead you need to unite this thought with the quest for fairness, for justice, for what is right. You sometimes have to fight for your rights. If you do so with the knowledge that the boss—yes, even the boss—has inherent worth, then perhaps your quest for justice will be done with perseverance, respect, and a positive resolution. And even if there is not a positive resolution with the boss, you can make plans to leave and do so as soon as possible. And as you leave with the thought that all have inherent worth, you can leave knowing that you, too, possess such worth. With a forgiving spirit, you will be preserving your health, as well as your self-respect. Long live the idea that all people have inherent worth. Think about the love that one person has given to you some time in your life. 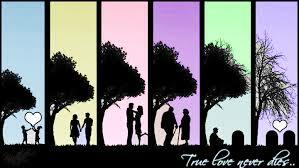 That love is eternal. 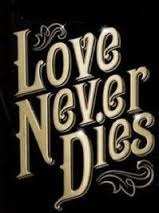 Love never dies. If your mother gave you love 20 years ago, that love is still here and you can appropriate it, experience it, feel it. If you think about it, the love that your deceased family members gave to you years ago is still right here with you. Even though they passed on in a physical sense, they have left something of the eternal w ith you, to draw upon whenever you wish. Children should be prepared for this kind of thinking through forgiveness education, where they learn that all people have built-in or inherent worth. One expression of forgiveness, one of its highest expressions, is to love those who have not loved us. If we educate children in this way, then they may take the idea more seriously that the love given and received can continue……and continue. It may help them to take more seriously such giving and receiving of love. We need forgiveness education……now.